Wn23 Tailleville, K.V.U.Gr Riva-Bella, K.V.Gr Caen. 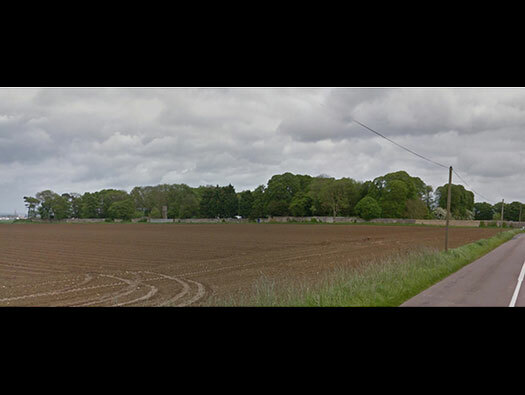 Wn23 Tailleville is a large Châteaux and and was the HQ command post of the II/736 Infantry Regiment under Hauptmann Deptolla also the command post of the 8th Company (in reserve) of the 736th Regiment under Hauptmann Johann Grzeski. 1 x ringstand for a 5cm gun. 1 x Vf65a 81mm mortar. 1 x 5cm KwK L/60 gun. Many strong points and a complicated system of underground communications. (ADM 199/1447). 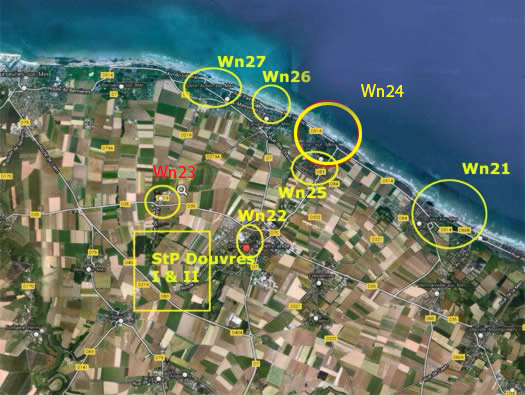 Wn23 Tailleville The defence of this sector showing from Wn21 to 27 and behind the large radar site of Oeuvres. On 21 December 1943 the division had 9,343 personnel of all ranks, but by 1 May 1944 it only had 7,771 men, due to the transfer of many fit men to the Eastern Front. It was the division in Normandy with the least personnel. Wn23 is set back from the beach but within easy reach and was the command post for the II/736 regiments and also held the command post of the 8th Company. Wn23 Tailleville the defence of the area. There is a sturdy wall running completely around the perimeter of the house and grounds with loop holes for rifles, defence bunkers, command posts and snipers post. 81mm mortar crew in a Vf65a. 80/81mm mortar inside a Vf65a. We drove east on the D35. The wall was defended by loopholes and on the north side a 5cm KwK in a ringstand and also a Tobruk inside the wall a Vf65a mortar Tobruk. 5cm KwK L/60 in a ringstand. Mg 34 set into the ringstand would cover a large area. Driving along the wall about half way. The wall has been repaired in several places, some look like they were from battle damage. An ancient water tower. 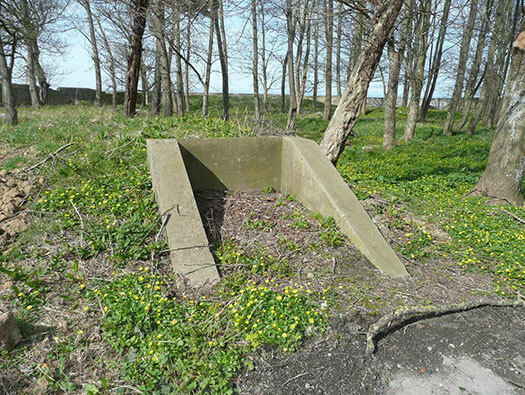 This may have been used as a lookout and sniper post as the battle for Wn26 progressed. Part of the inner wall looks like a quick repair job. It may have been to help in the defences. Looking through the loophole. What looks like a bunker/shelter inside the wall. The shelter a better view. Most of the internal bunkers have been either flattened or covered over and filled in. 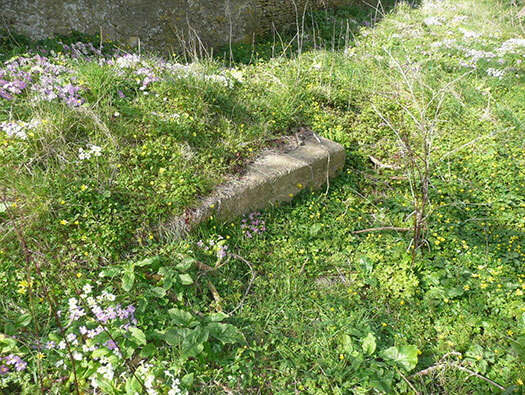 Jean-Pierre was allowed to visit the complex and this is an entrance to either an air-raid shelter or a bunker of some type. The tree on the corner. 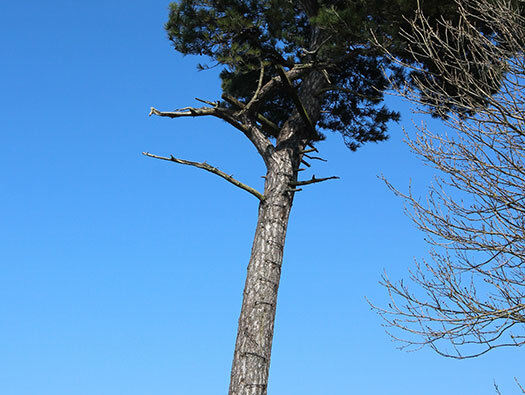 I took this photo totally innocent of what the significance of what this tree was used for. The whole area was inside the Forbidden Zone, an area where locals like farmers, fishermen, mayors, etc. could stay but other people were forcibly removed out of the area. When the Canadians landed they would have had an idea that the area was devoid of most locals. The Farmer turned up and talked to us about Tailleville and the battle. He said that when the Canadians got into the village. A section of the North Shore Regiment, after spending the whole morning fighting in and around the village came upon the Farmers house. In it was the now farmers, Grandfather. The Canadians kicked in the door and threw in a grenade killing the old farmer. There is no blame here, it was just an act of war that unfortunately the poor man was in the wrong place at the wrong time and the infantry had been having a very bad day. Not only had they been fighting here, they had also landed at about 7.30am on a defended beach, fought through the houses of Berniers-ser-Mer. 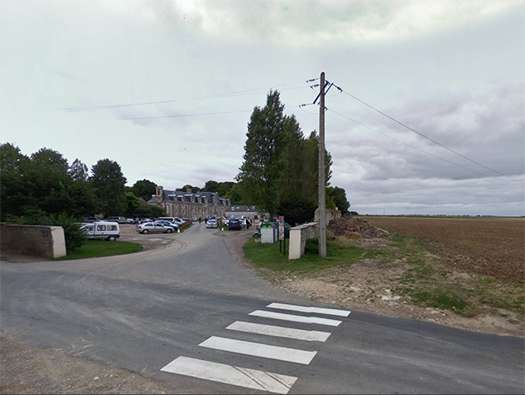 Then walked the 3.5 Kilometres to Tailleville, only to find it in the hands of the 8th Company, 736th Regiment defending the village. The battle lasted for the rest of the morning. 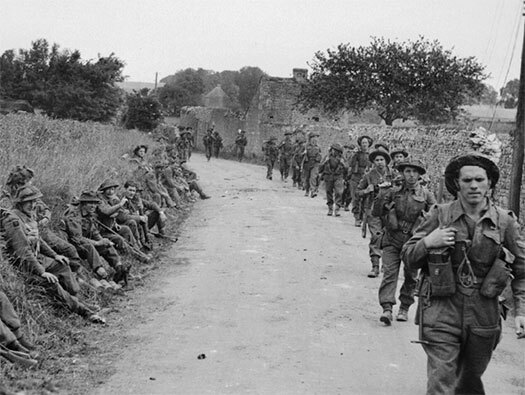 North Shore Regiment patrolling in Normandy. The Farmer called us over to look at the tree. The sun was in our eyes and he kept pointing at this tree. Then I saw the metal bunker ladder rungs hammered into the tree as steps, all the way to the branches. We do not speak French and the Farmer no English but we understood enough that it was a sniper post and lookout. From their you could see the beach and the lookout the whole landings. 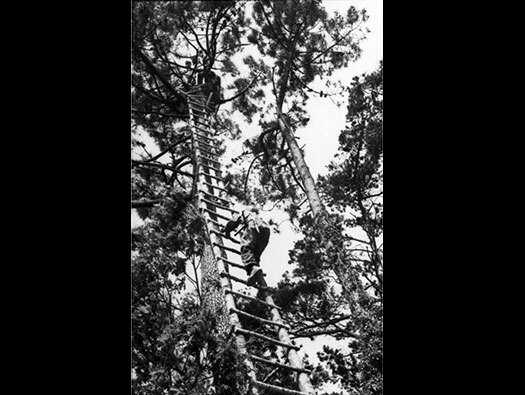 A better view showing the ladder and the sniper post in the branches. We thanked the farmer after a very interesting talk. We asked about the bunkers inside the wall but he said most had been filled in/covered over and as it is a children's Holiday Colonie. de Vacance he asked us not to venture in any more than the car park. Wn23 Tailleville somewhere in France. 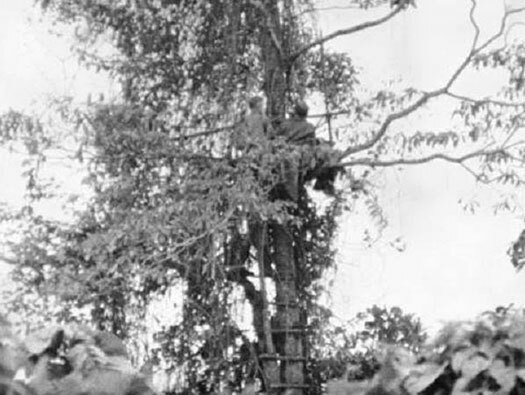 A picture in the Bundesarchiv of troops using trees as lookouts..
Another picture I have found of troops using trees as lookouts..
We now come to the corner. 1 x ringstand with a 5cm KwK L/60 gun. The gun used in earlier tanks but by the 1940's it was being out preformed by 7.5cm & 8.8cm tank guns. So having many old guns lying in storage, the Germans made a swivel mount and used them in many fixed positions all along the Atlantikwall. or this sort of open ringstand. Wn23 Tailleville The corner 5cm KwK. 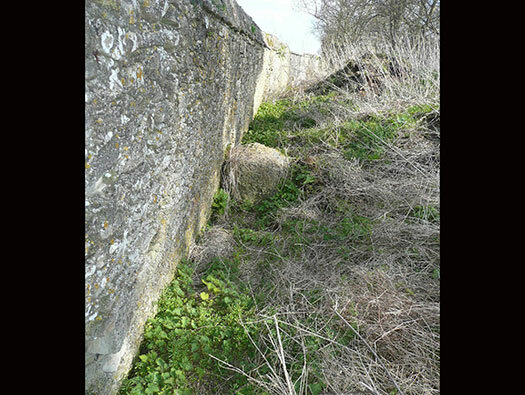 Jean managed to see around the back of the wall where the 5cm KwK trench came through the wall. 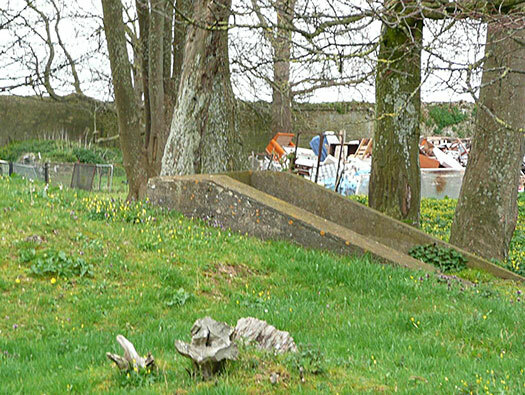 Trench into 5cm KwK gun position. 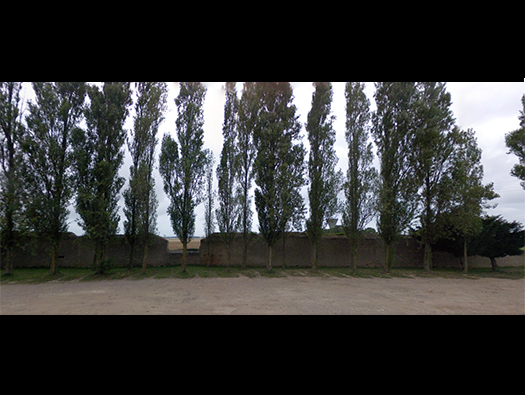 Wn23 Tailleville The corner 5cm KwK.. The ringstand poking out from the wall and covering two full sides of the the walls. An L60 has a muzzle break making it a better gun than he L/42 older type..
Wn23 Tailleville Ringstand 5cm KwK.. 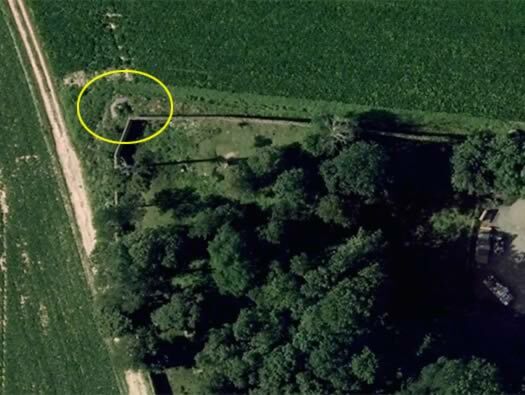 The ringstand may have a tunnel/trench leading under the wall allowing guns crew and ammunition to be passed out without being shot at. How it may have worked with the wall and a tunnel and trench? Wn23 Tailleville 5cm KwK field of fire. Follow the track and it leads directly to the sea. Part of the Bigot map of the area. The yellow line is the continuation of the track above. 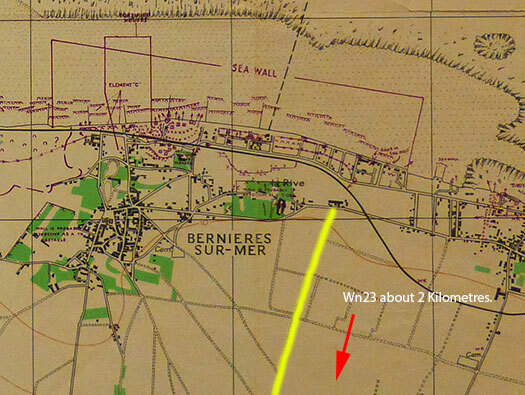 This is the area the Canadians landed, fought through the town of Berniers and then moved on to Wn23. The Tobruk passes through the wall. The passage under the wall. How it may have looked emerging from the tunnel. A large gun slit in the wall I have no idea what sort of gun was used here. The back of the wall looking north. View its small size does not assure communal management in good conditions, Tailleville was attached to the Town of Douvres- la-Délivrande in 1973. 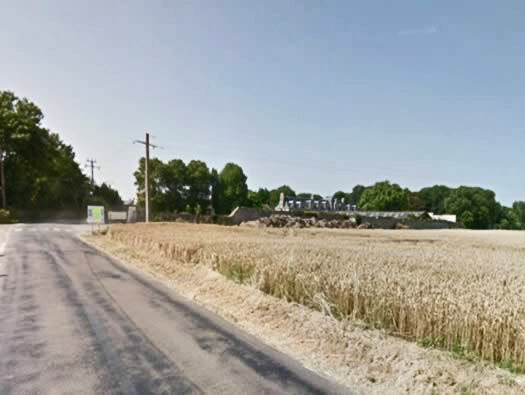 After the landing of the Allies in June 1944, Tailleville was attacked by tanks and was liberated by the Canadians. The name of the Royal North Shore Regiment instead keeps the memory. First called Tailleville, it has two Houses: - One "Emmaus" as it currently hosts the Companions of Emmaus community, which opens several times a week its doors to the sale of items collected to finance hosting "companions." After belonging to the family Malério it was bought after the Great War by the Community of the Faithful Virgin. Serving as a German HQ, it was not achieved by bombs during the last Community and then sold the buildings to the work of Abbé Pierre. A chapel is worth a look, but the interior is visible only during Heritage Days in September. The house called "colony" because it is used by the UNCMT to host summer camps. This castle has undergone many avatars over the ages and could not retain its original beauty. UNCMT. The Châteaux de Tailleville. Showing a lot of battle damage. Showing what the intelligence had known what was there and also the after battle saying what actually was there. 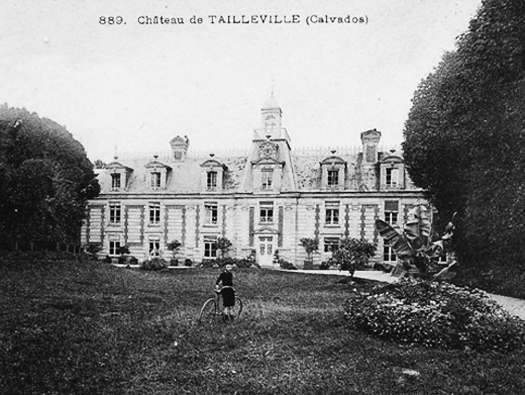 The Châteaux de Tailleville and how grand it used to look. The Châteaux de Tailleville the main entrance around the front. The Châteaux de Tailleville the front of the house. Tobruk defence of the front entrance. Blessé ici le 6 Juin 1944. Fairmile Launch directing ship with Canadian landing craft heading for the beach. A DD of the Fort Garry Horse moving inland. Royal North Shore RGT landing. 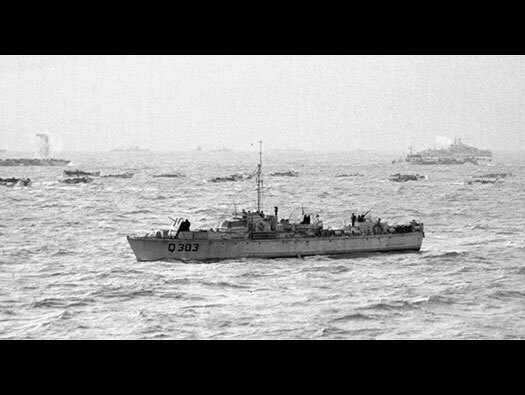 'C' and 'D' Companies landed after the first wave at 09:45 and moved into St. Aubin. 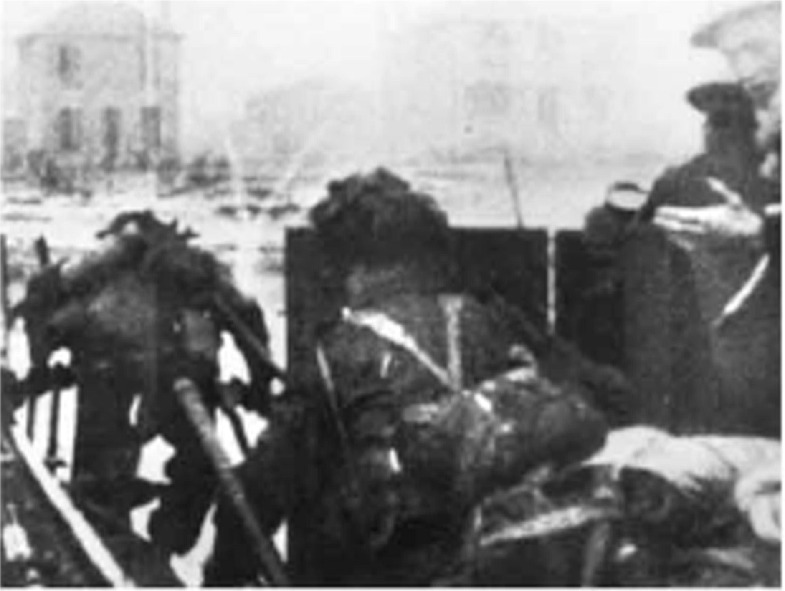 Captain Bill Harvey of 'D' Company, described the action as they moved into the village: "I moved up towards the road parallel with the beach and saw puffs of smoke coming from a pillbox. I got Sergeant Joe Bertin to fire two hits on the pillbox. I moved along the street and found everything at a standstill since a German 75mm gun controlled the area. A dozen high explosive mortar bombs did the trick and we cleared the gun position. But we were held up by snipers. 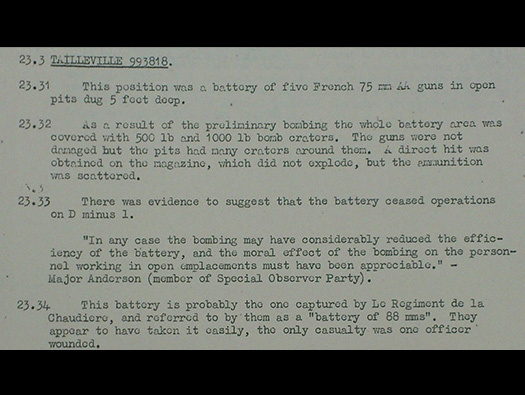 Then our guns got into fire position and disposed of the sniper controlled from the tower." 'C' Company met up with two troops of tanks and advanced towards Tailleville. 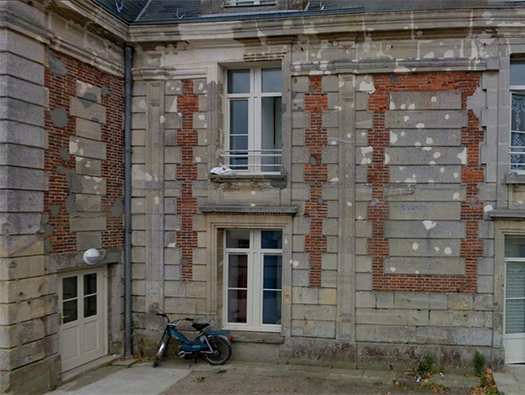 Tailleville contained a battalion headquarters and a company of the 736 Grenadier Regiment. As the North Shores moved forward through the fields the enemy mortars opened up. The Sherman tanks gave good supporting fire and they slowly advanced. After six hours of fighting they took Tailleville. 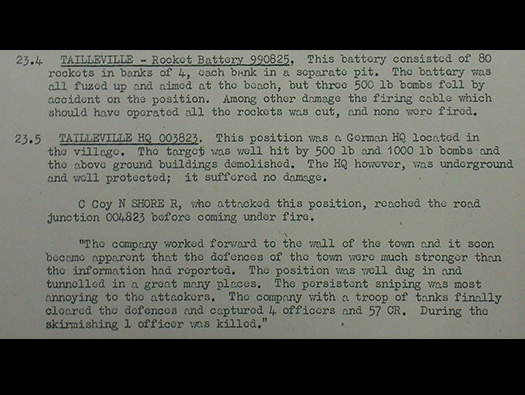 'A' Company followed behind 'C' Company and sealed off the southern side of Tailleville. By 2200 hours the North Shores were in a tidy defensive position. 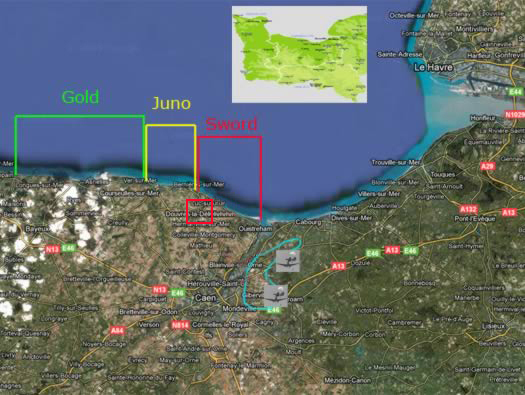 'B' Company was positioned on the east and south of St. Aubin. 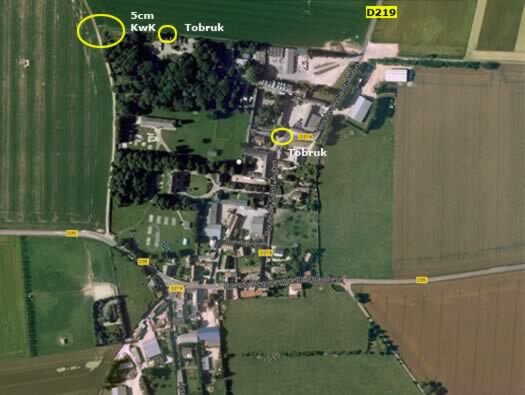 'D' Company was moved up to Tailleville on the east flank, 'A' Company stayed in the southern edge of the village and 'C' Company in the centre. Clip of five .303 ammunition. 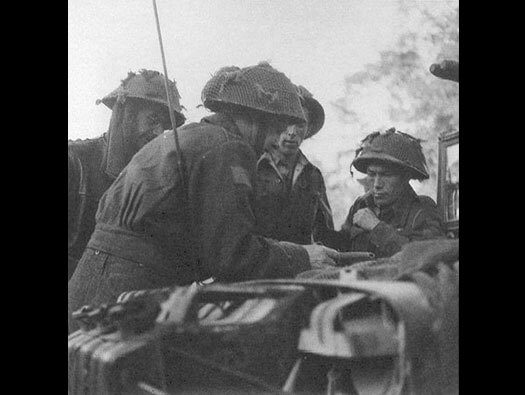 A North Shore Company Commander briefs his officers on the advance to Tailleville.